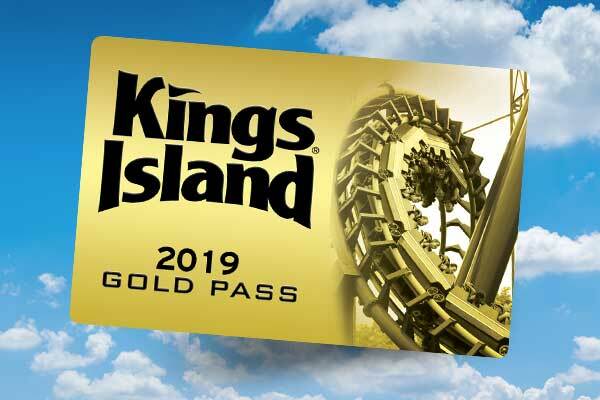 Get unlimited visits in 2019 with a Gold Pass. 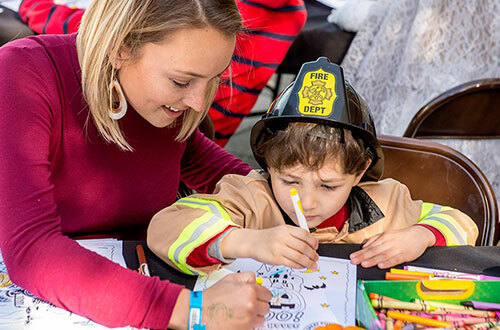 The Great Pumpkin Fest at Kings Island is all treats and no tricks when it comes to family-friendly fun including live entertainment, mazes, trick-or-treating and so much more! 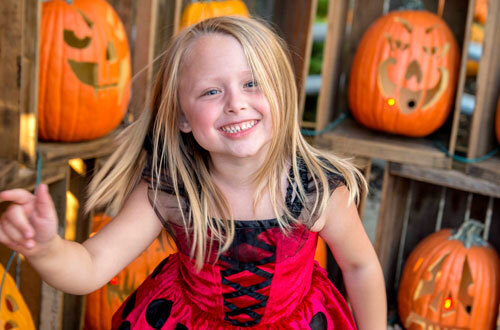 Guests of all ages will enjoy our Halloween-themed festivities, sure to make memories that will last a lifetime. Enjoy an interactive station where kids can feel and smell some of the ingredients that a witch uses in her friendly spells and potions. 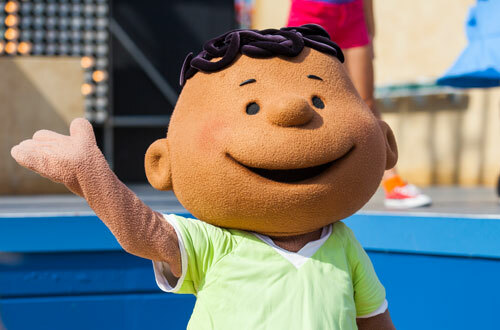 Kids will enjoy meeting and conversing with Patch, the cousin of the famous "Great Pumpkin" mentioned in the PEANUTS™ cartoon, "It's the Great Pumpkin, Charlie Brown". 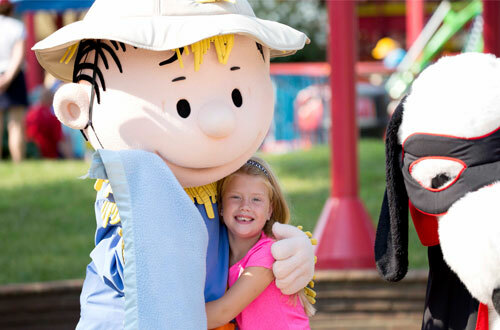 Snoopy's Barnyard Friends is a petting farm with 50 animals for guests of all ages to learn about and interact with. 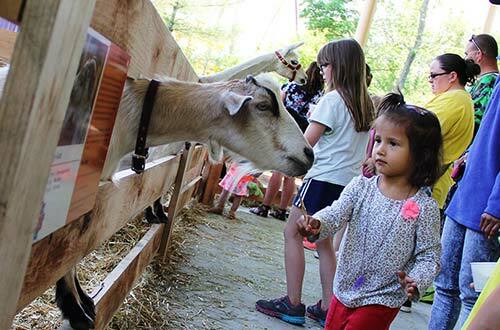 Chickens, ducks, rabbits, sheep, goats, alpacas, miniature horses, steers, pot bellied pigs, and additional exotic animals will be featured. Grab your very own mini pumpkin and PEANUTS™ coloring page and decorate it with your own artistic flair! 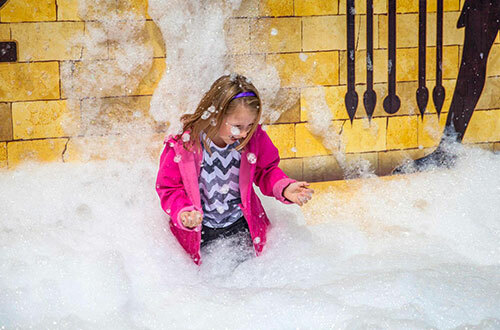 A fan blowing literally thousands of bubbles creates an inviting pool of good clean fun for kids of all ages. 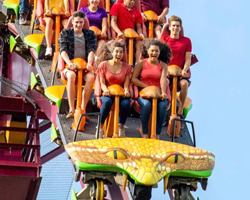 Note: Must be under 48 inches tall to experience this attraction. 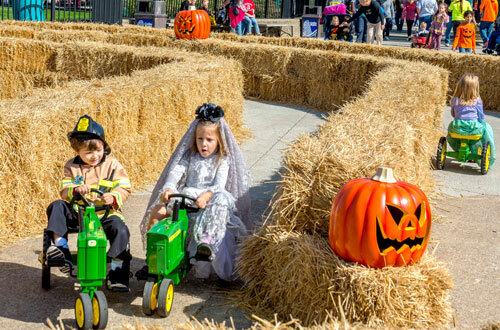 Kids travel through a hay maze on their very own mini tractor. 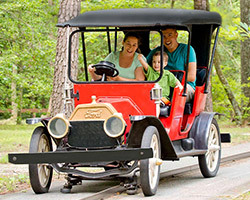 Note: Must be under 54 inches tall to experience this attraction. 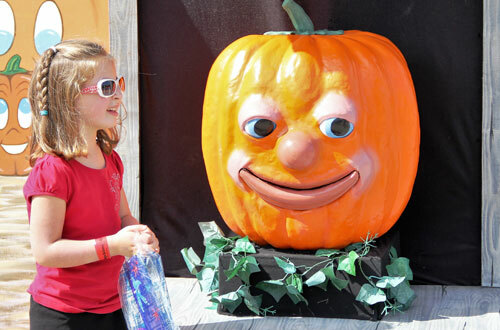 Little ghouls and goblins can search for treats at candy stops located throughout the Great Pumpkin Fest. 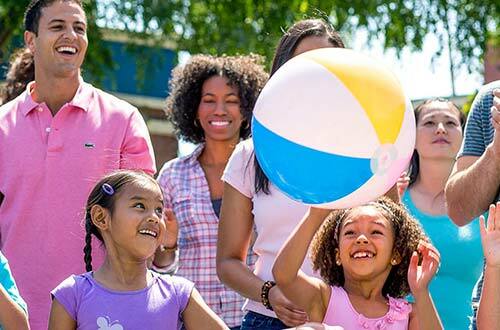 Kids of all ages will enjoy testing their skills with an assortment of carnival-style games. As low as $1 to play! 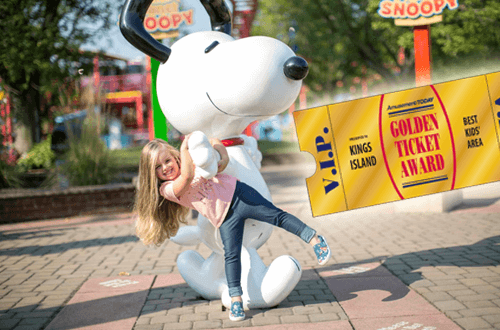 Enjoy all of your favorite Kings Island rides and attractions like Mystic Timbers, Banshee, and the 16-time Golden Ticket award-winning World's Best Kids' Area, Planet Snoopy! 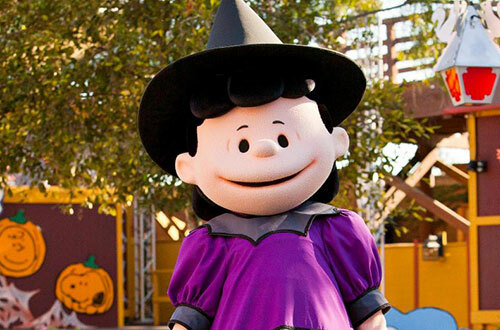 Kids gather around as Peppermint Patty shares some of her favorite Halloween tales. 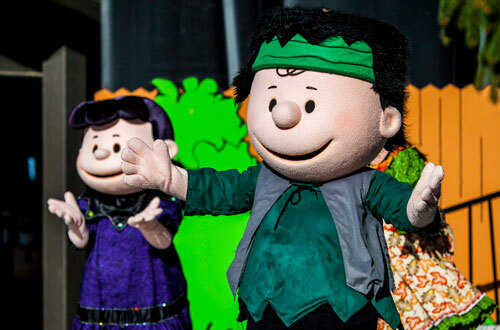 The PEANUTS™ gang invites you to their rockin' Halloween party! You don't want to miss it. Have your camera ready for a meet-and-greet opportunity with the characters immediately following the show. 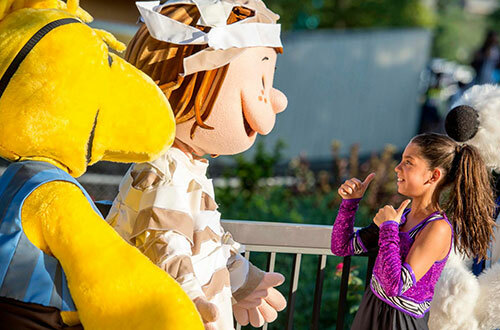 Sing and dance with Snoopy, Charlie Brown and other members of the PEANUTS™ gang as they get ready for Halloween. 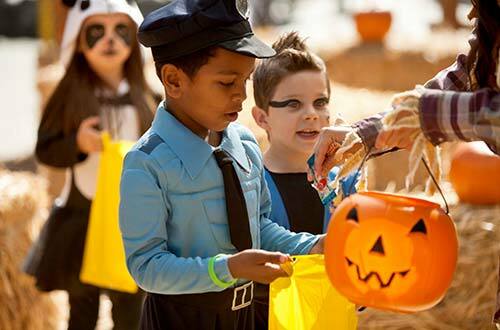 Kids can participate in a costume contest for a chance to win great prizes. 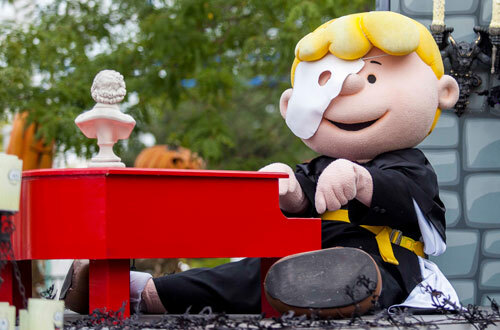 Join Charlie Brown and friends as they get dressed up in their favorite Halloween costumes and sing in this creepy and kooky, mysterious but spooky musical adventure that is more fun than fright. 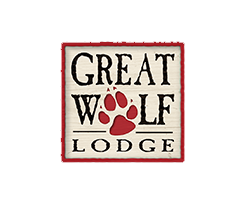 Kids of all ages will enjoy playing family favorite games like Go Fish, Old Maid, Hearts and PEANUTS™ Bingo!